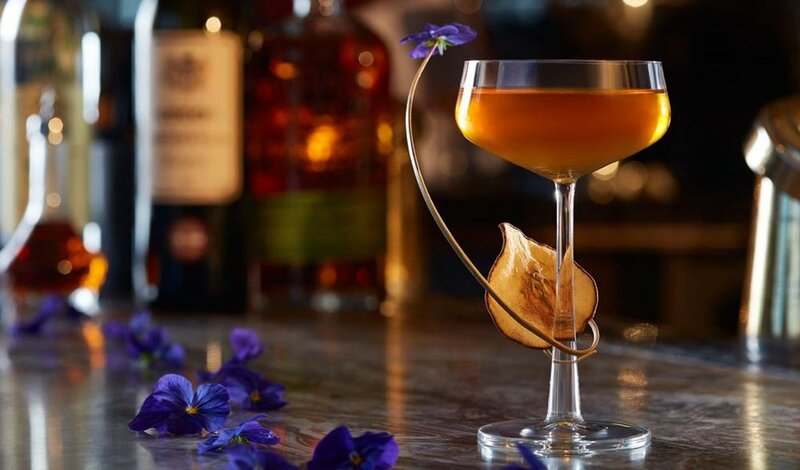 Gông, the upscale cocktail bar on the 52nd floor of the Shangri-La Hotel on St Thomas Street in London, may be the most atmospheric spot in The Big Smoke to sip a sunset cocktail. One can watch the city dramatically illuminate below one’s highly coveted viewpoint at the edge of the highest bar in London sipping an inspired creation by one of Gông’s talented mixologists or a glass of bubbly from their extensive collection of specialty champagne and sparkling wine. Designed by esteemed Hong Kong architect André Fu, Gông is Eastern themed and named for the prevalent Chinese architectural element called “dougong”, a traditional style of interlocking wooden brackets seen throughout the elevated lounge. 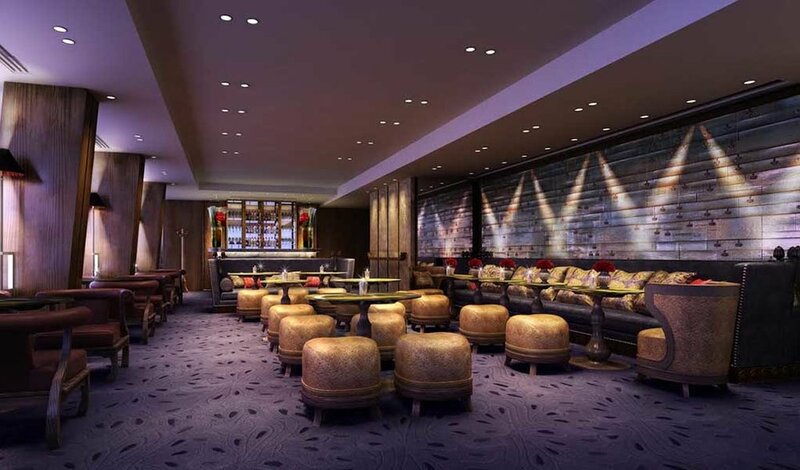 The Gông bar in its entirety actually consists of three separate wining, dining, and lounging areas—the cocktail bar, the champagne bar, and a spectacular infinity pool, all of which afford jaw-dropping vistas of the London skyline, the iconic London Tower Bridge, and the River Thames. The cocktail menu at Gông changes seasonally, but the current list is playfully eclectic, suggesting different groupings of libations to coincide with various stages in human life. In the childhood-inspired “Wonder Years” section, one can sample a “Born to Fly” concoction of Grey Goose, fig, basil, citrus and a French aperitif. The more daring (or nostalgic) can go for the “Kinder Candy” which incorporates chocolate, peanut butter, balsamic, and a milk reduction. The menu segues through a “First Kiss” and “Grown-ups” portion before ending with refined cocktails like the “#NTO” (Not Too Old) crafted of Remy Martin VSOP, ginger and lemon shrubs, orange, Martini Gran Lusso, and maple syrup in the “Old School” grouping. The view and the drinks are definitely the main affair, but for those looking something light to accompany cocktails, Gông offers small plates like Portland crab with passion fruit and cucumber, wasabi and ginger-cured salmon with Yuzu cream, or beetroot and butternut squash with honeycomb and pistachio. 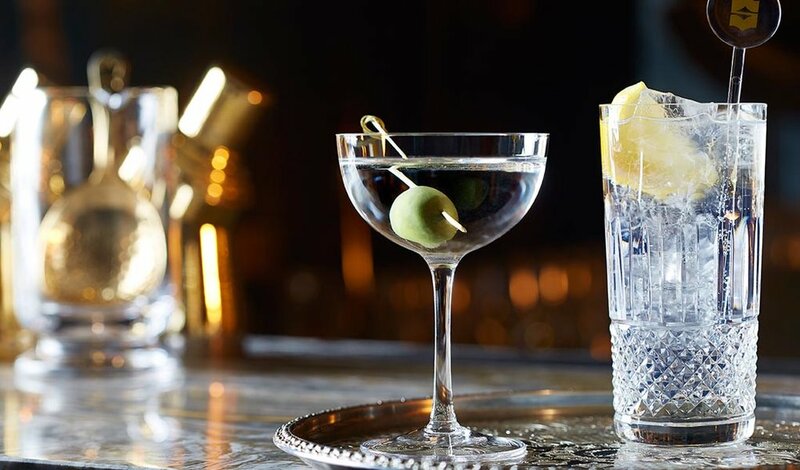 All things considered, Gông possesses every element necessary for a memorable night out in London, and a few special details to elevate “memorable” to “unforgettable”.